440-foot-pounds of torque ensure that you have the towing capabilities that you need to deliver an animal safely to the horse show or get your boat to the marina with no problem. With an average of 25 miles per gallon, the fuel economy is helpful for commuting and towing. 2019 is going to be an exciting time here at The Razzari Auto Centers. Reimagined for 2019 is the all-new midsize pickup truck, the Ford Ranger. Those familiar with the Ford F-150 will find that the Ranger has been put to the same tests as the legendary truck. Built on a high-strength steel frame, the Ranger can handle a wide range of weather and terrain. The 2018 Ram offers Electronic Stability Control. This system comes with Hill Start Assist, Trailer Sway Control, Rain Brake Support, Ready Alert Brake, and more. In addition, the 2018 model also features four-wheel disc antilock brakes. 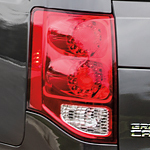 The Ford F-150 imposes a solid presence on the American market for light-duty pickup trucks. This vehicle has a rich heritage in off-road performance, towing and other important categories. If you're looking to explore harsh terrains in the F-150, then select several signature features that are tuned for off-road handling. The 4x4 drive system is available with multiple modes that control the spin of the axles. An electronic shift-on-the-fly function gives you good leverage for controlling this versatile pickup truck on unpaved surfaces. The 2018 Nissan Maxima has you covered when you need raw power on the road. Its V6 engine is Legendary, and it features a Sport drive mode for a boost when you need the extra edge. The Legendary VQ V6 engine makes this car drive like a beast. Between its anodized pistons and sodium-laced exhaust ports, it makes 300 horsepower exciting. The drive mode selector puts the Maxima into high gear with quicker throttle response, fine-tuned steering, and smooth gear-shifting.